Mountain and Floral Tattoo design 2016. Sunflower and Grains Tattoo design 2017. Floral Crescent Moon Design 2016. 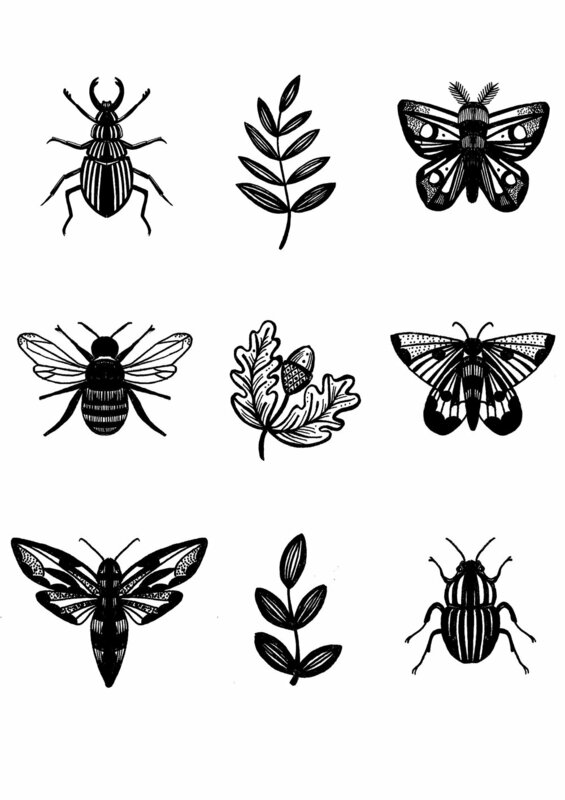 Elephant Beetle Tattoo design 2016. Anatomical Heart tattoo design 2015. 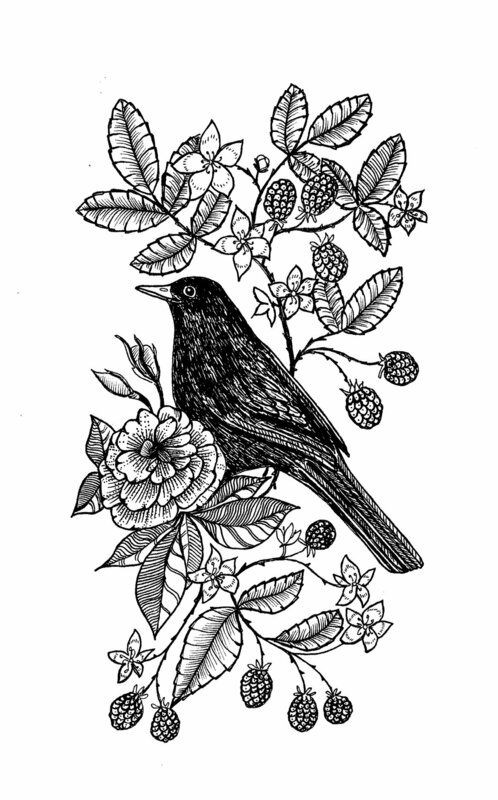 Blackbird and Blackberries Tattoo design 2016.